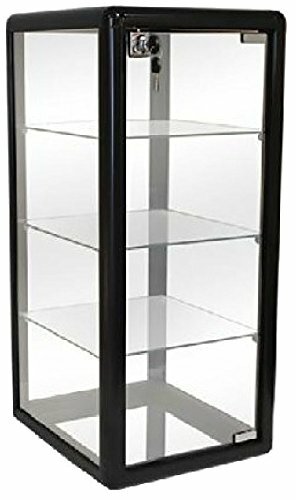 Only Hangers F-1302B Elegant Black Aluminum Table Top Tempered Glass Display Showcase, 27" H x 14" W x 12"
Maximize your counter space and display your fine watches, jewelry, gifts, collectibles and other accessories with style. 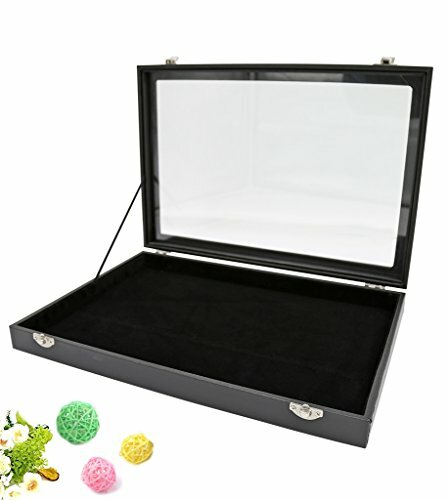 The Tower Countertop Display Case features a decorative black aluminum frame with tempered glass front, top and sides providing customers with a great view of the merchandise inside. Additional features include (3) shelves. 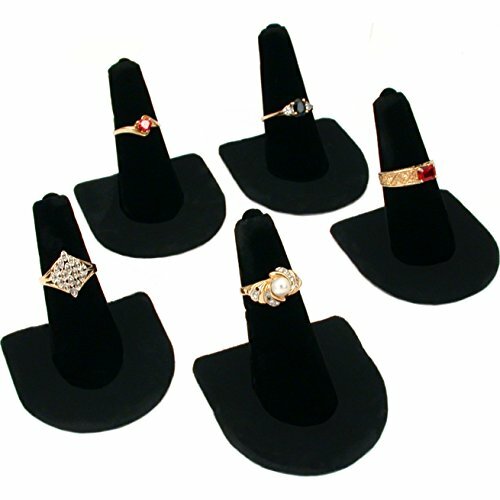 The Countertop Display Cases help maximize space, enhancing your overall display presentation. 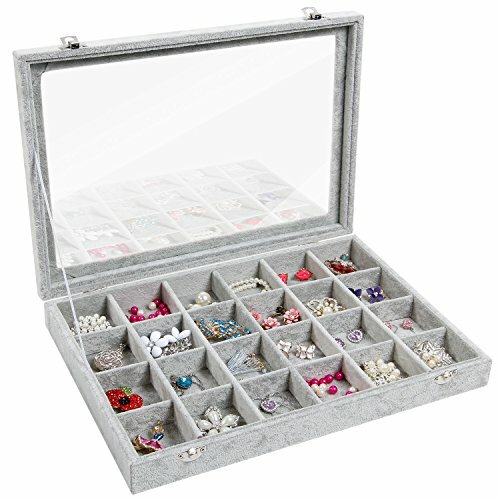 Display case includes a lock. In stock and ready to ship. 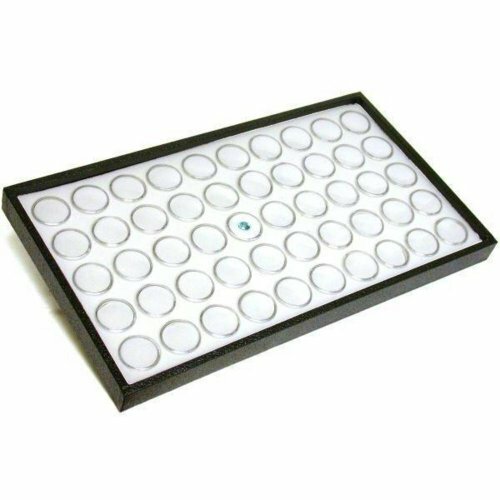 Vertical Acrylic Display Case Premium Clear Acrylic 19" High x 12" Wide x 9.5" Deep This Acrylic tower counter showcase you can use for show multiple products like cupcake, Jewelry, donut, any pastry, etc. 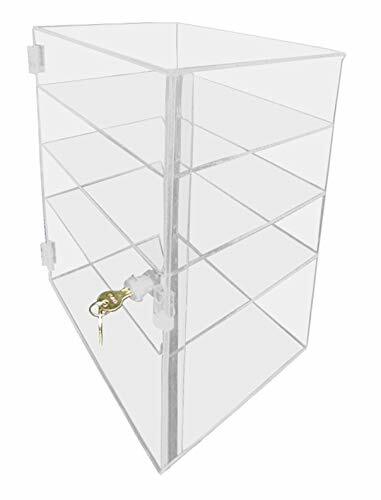 12" x 9 1/2" x 19" w/door and lock (2 keys) space approximate between shelves bottom to the first shelve 6 3/4" and 3 3/4" the other 3 shelves (3 shelves plus top and bottom) At Marketing Holders we make all of our customers number 1! We provide only the highest-quality office and marketing supplies. We value our customers opinion. Description: - Clear acrylic display box case dustproof for 3D car model, figure, figurines, statue, doll model, collection, etc. 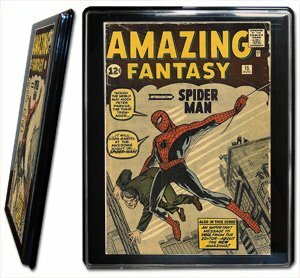 - 6 panel to assemble by yourself，convenient to detachable and storage easily for display - Tough acrylic panels with high-quality, flat glossy base, stackable design. 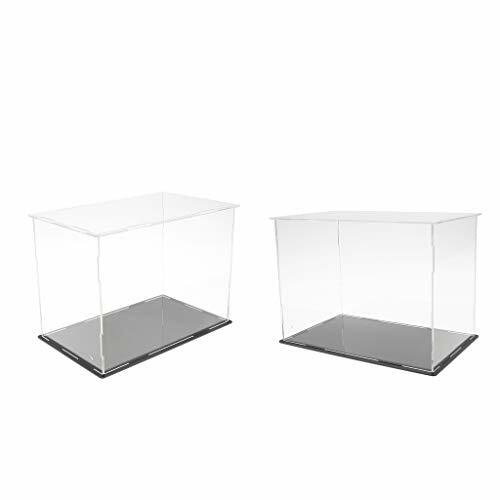 - Dustproof and stackable protection for collection model - Material: Acrylic / Crystal Clear Polystyrene - Color：As Pictures ShowSize Chart:Size（L*W*H）approx 20x12x15cm/ 7.87x4.72x5.90 inchPackage Includes:2Pcs Clear Acrylic Display CasesNote:Due to the manual measurement, please allow 1-2mm differences in size.Due to the light and screen difference, the item's color may be slightly different from the pictures. Please understand. Increased Security Sliding door ratchet locks give an added security level to glass display cases, trophy cases, and retail cases. 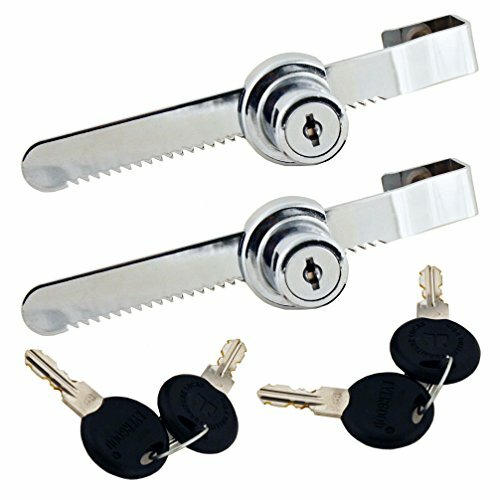 These locks are easily slipped onto the edge of the glass door, requiring no boring of holes. These locks are perfect for retail business and home applications. Any retail establishment with display cases will find this security lock a great addition to their business. Easily slips onto the edge of the glass for quick installation. Easy-to-Use Sliding door ratchet locks can be easily installed on glass cabinet doors, retail display cases, etc. up to 1/2" thick without drilling. Locks come with set screws and a cushioned lining to hold them securely to the glass. Easy Installation Sliding door ratchet lock is a perfect security solution that slips onto the edge of the glass door, requiring no boring of holes. Lock works on glass up to 1/2" thick (which is most retail display glass cases). Made of zinc alloy, the display case ratchet lock is easy to install on display cases and trophy cases and a disc tumbler keyway on the lock. Looking for more Showcase And Display similar ideas? Try to explore these searches: Light Blue Crepe, Leaf Chair Rail, and Kids New Era Caps. Look at latest related video about Showcase And Display. Shopwizion.com is the smartest way for online shopping: compare prices of leading online shops for best deals around the web. Don't miss TOP Showcase And Display deals, updated daily.